Where can publishers look towards to really drive international eBook sales growth? There are obvious opportunities in the US and in the UK where the eBook markets are relatively mature and have a consumer market hungry for content. Outside the US and the UK, other English language markets like Australia and Canada are growing and are markets in which we are seeing significant revenue increases for publishers. Russia seems to be coming to the fore as an emerging market, with retailers like Litres driving sustainable eBook growth revenues for publishers and making significant strides in the battle against 'free'. On a global level, the two major game changers are India and China. India is the more accessible of the two right now, as there are a number of eBook retailers, such as Flipkart already in operating in the eBook market. The Indian eBook buying public, publishers and retailers have already engaged significantly with many UK/US publishers. The ease of access to the market is made possible in large parts by the openness of Indian partners to new entrants. China however, is a different matter. The eBook market, and in particular the English language eBook market, in China is still in its infancy but the scope and impact of eBooks in China is evolving at an incredible pace. Despite all this recent growth and obvious potential, it has to date remained more inaccessible to western publishers than expected. Issues around ownership, industry structure, platforms, piracy, pricing, consumer behaviour and culture remain to be understood. 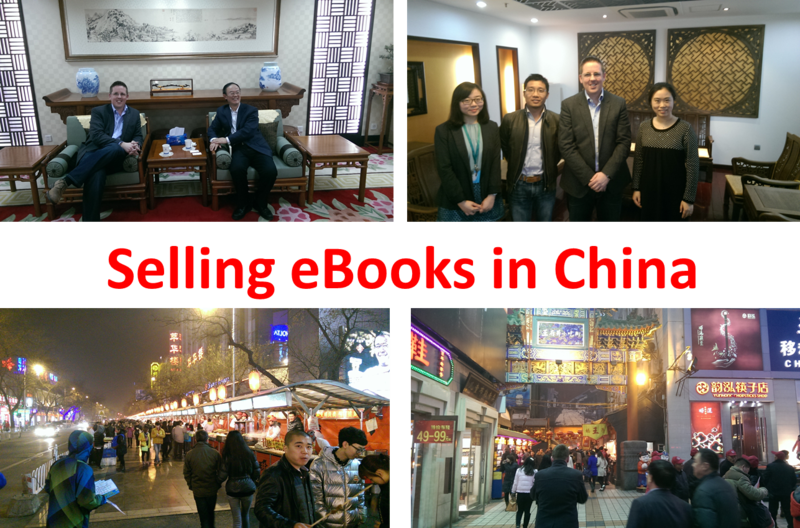 Publishers ask us about selling eBooks in China at every book fair and event we attend. Almost every new publisher who signs up to the Vearsa service asks about China. Our sales guys get asked about China pretty much every time they engage with a publisher. So Vearsa decided to take action and find out first-hand what we could do to help our publishers take advantage of the emerging eBook market in China. Most new retail partners we sign up (and we add between 2 -4 each month), can be handled and administered remotely. But China is different. The Chinese retail market seems to have some unique variables that require a deeper understanding of process, a greater need to build trust and a more significant awareness of diversity. 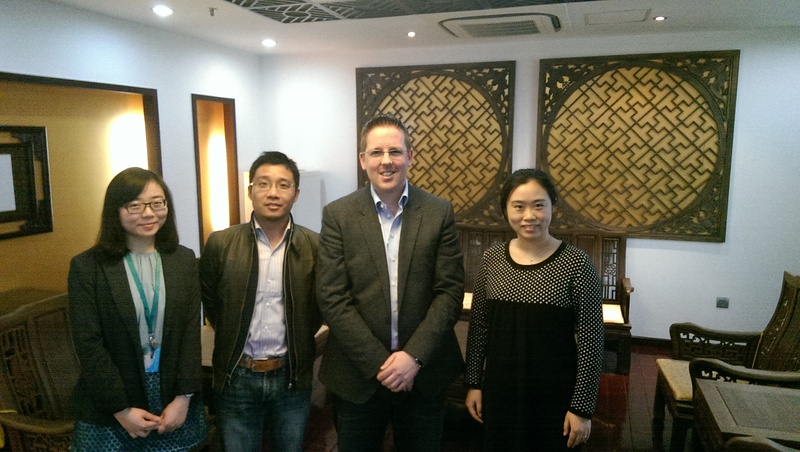 Last August, we began to engage with a number of the key Chinese eBook stakeholders. We did this through a mixture of direct contact and through partners, with the intention of undertaking a visit to China in March of this year. The purpose of our trip to China was to build trust with various stakeholders, to see how first-hand how the supply chain is managed at every level and to very clearly explain our objectives and business plans to avoid any misunderstandings and miscommunications. 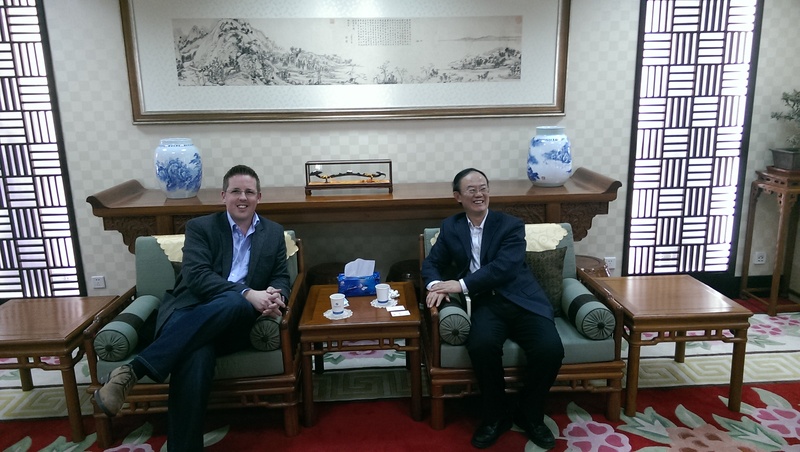 As planned I traveled to Beijing earlier this month with our CEO Gareth Cuddy. The scale of everything in Beijing is mind boggling. While it's blindingly obvious that we are culturally about as far removed from home as we can possible be, consumerism is everywhere. Familiar western brands like Nike, Starbucks, H&M, IKEA, KFC, Jack ‘n Jones are visible on every street corner. Technology and handheld devices are a core part of everyone's day to day activities, be they commuting, having a meal, serving a meal, sitting in a park or even driving a taxi! The amount of content and media consumed online, and through mobile in particular, is astonishing. What became clear to us very quickly is that the market in China is quite fragmented. There are a number of industries in the hunt for eBook revenues: online retailers, hardware manufacturers, social networks, telecom operators, search engines and even traditional brick-and-mortar stores. Gareth and I met with a number of the key players in these industries and it appears that as of today, while the choices for Chinese language eBooks are widespread, there really are only a limited number of options for selling non-Chinese language content into China. Good news and bad I guess! Our focus was on securing vendors engaged in English language eBook selling. We had some very productive meetings and are excited to reveal that we procured one new eBook retail channel and one new eBook academic channel. We also developed relationships with a number of retailers who don’t yet have an eBook offering, but plan on developing them this year. All huge companies with mind-blowing customer figures. We also met with the largest importer in the market, China National Publications Import & Export (Group) Corporation or CNPIEC, who regulate over 90% of the publishing content available in the marketplace. CNPIEC is a vital cog in the Chinese publishing market. They have been the leader in importing and exporting printed books to China for some time. CNPIEC recently made a major commitment to build and market an eBook publishing platform for both Chinese and other than Chinese language titles to the institutional market in China. That platform is now active. We had frank discussions with CNPIEC on issues like ONIX, territory rights, DRM, pricing, commercial arrangements and content restrictions. We were enlightened with the their knowledge of issues like wholesale vs Agency, ONIX 2.1 vs 3.0, BIC and BISAC codes, DRM and library business models. We had some very engaged debate on the merits of the Agency model in particular, and it was great to get a new perspective on it. 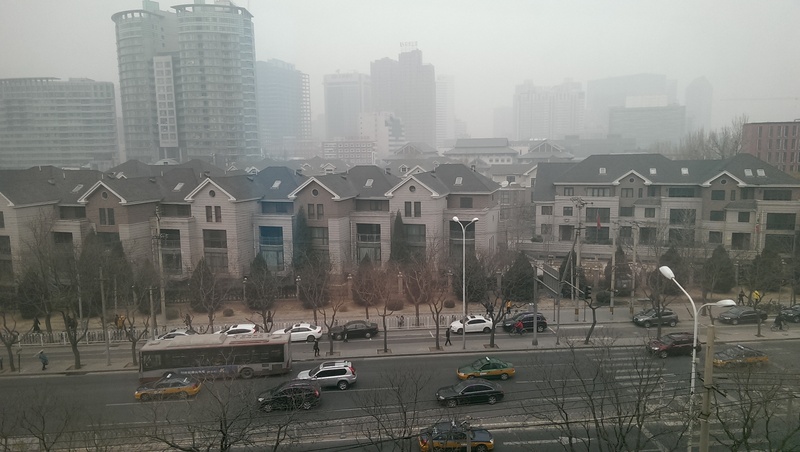 As an aside, I have to say, I found the smog in Beijing difficult to deal with and equally difficult to describe. While there it was reportedly as bad as it gets, reaching ‘code orange’ status. According to Reuters, the orange level, the second highest, advises schools and kindergartens to cancel outside sports classes. Data from the U.S. embassy while we were there put levels air pollution at 378. The U.S. Environmental Protection Agency considers levels above 300 to be hazardous. During the weekend, the index topped 500. Nuts. Pollution aside, the sense of opportunity, growth and scale of things in China is hard to describe. It really is awe inspiring how populous and industrious the country is. We look forward to opening up the Chinese market for our publishers, and welcoming two new Chinese distribution channels to our network, it is a very exciting opportunity for all of us.